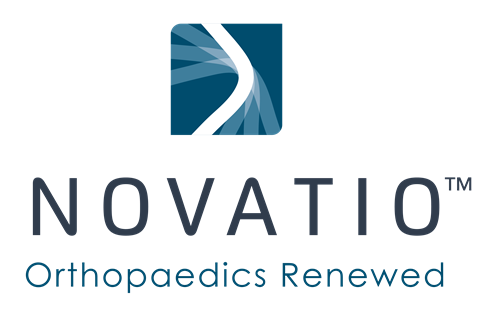 Novatio, Latin for renew and rejuvenate is the first Orthopaedic practice that offers Full-Circle Orthopaedic care. Full-Circle means we personalize your Orthopaedic care based on your individual needs whether they be surgical or non-surgical. We address the health of the whole person including body, mind, movement and nutrition. Plus, our doctors and staff go the extra mile to make sure you have the best patient experience. Full-Circle Orthopaedics™ puts patients at the center of care.Your body and the pain you feel is personal, so we believe your Orthopaedic care should be personal too. That is why Novatio pioneered Full-Circle Orthopaedics™, which addresses the whole person including body, mind, movement and nutrition. Full-Circle Orthopaedics™ provides you access to physical therapy, personal training, nutrition, massage therapy, acupuncture, counseling, educational workshops in addition to our surgical expertise. Do you have a busy schedule? That’s okay too because we’ll meet you where you are. Home visits, walk-ins, non-traditional hours, a call or email from your doctor, these are the simple things that can make a big difference on your journey back to a more pain-free life.